Specter Off-Road is located in Chatsworth in the northwestern corner of the San Fernando Valley not far from Los Angeles International and Burbank Airports. If you find yourself in the Los Angeles area, don't go home without stopping by. We're about 5 minutes south of the 118 freeway on Nordhoff Street between Owensmouth Avenue and Canoga Avenue. 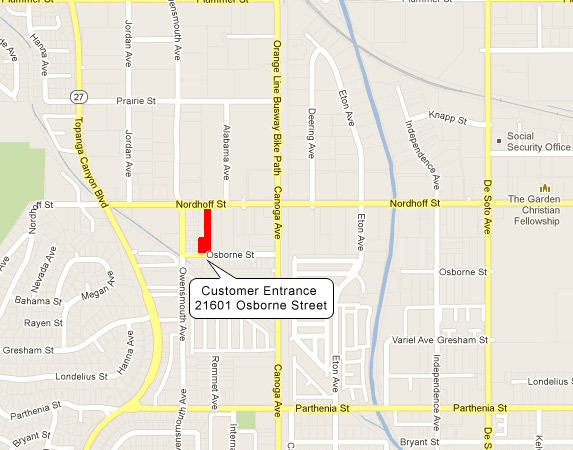 The will call/customer entrance is located one block south on 21601 Osborne Street. Stop by for a visit.